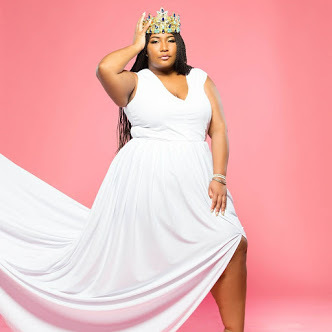 It is time for a Fashion Friday post! I am so happy to finally share this look with you all. I have been holding on to it since April and I cannot believe I held on to it for so long! This outfit is giving me all of the vacation vibes. 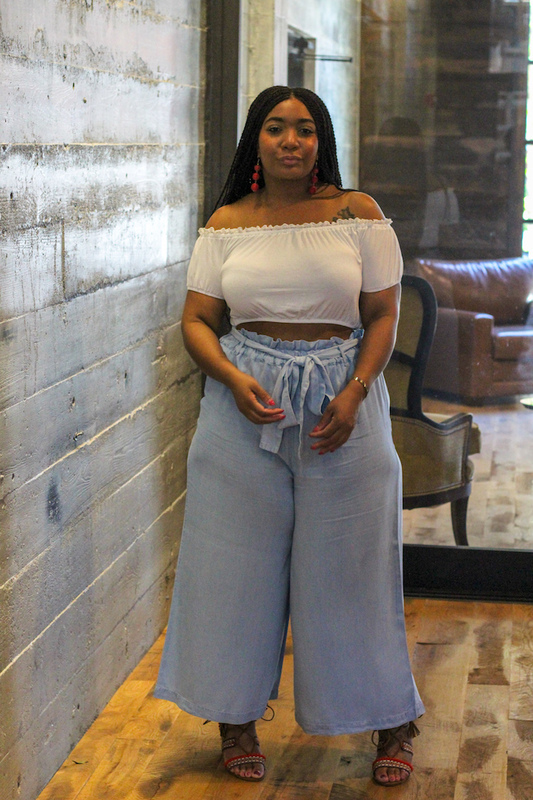 Maybe, it is because I have a real thing for crop tops with elastic at the bottom. To me they frame the waistline and you do not have to worry about it riding up or rolling it up. They ar the best! 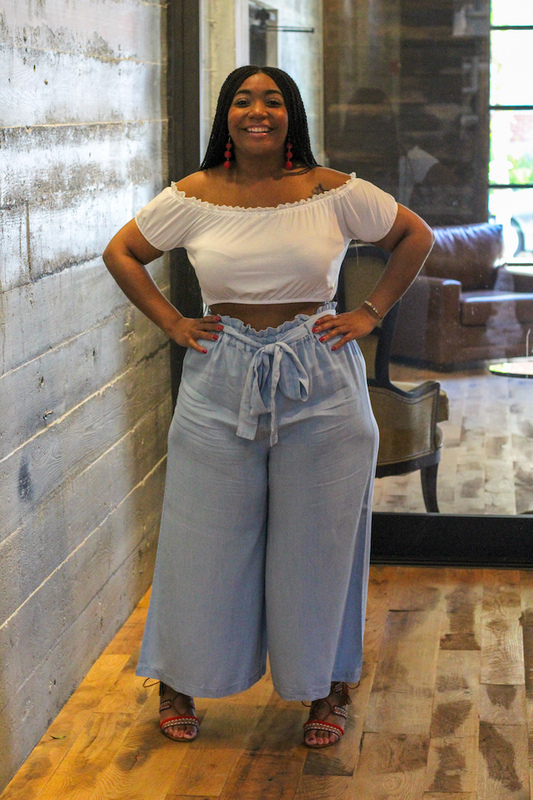 Lets talk about these denim culottes. They are everything! 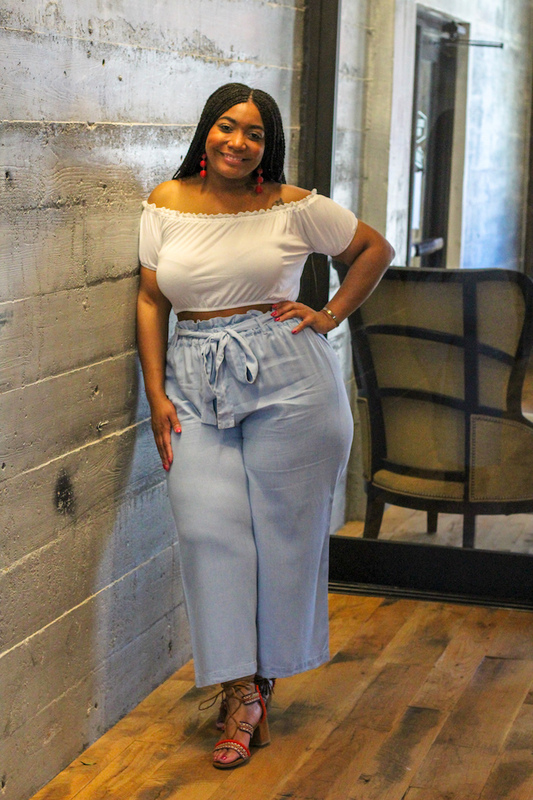 The fit is perfect, they are soft, and holds the true culotte shape. 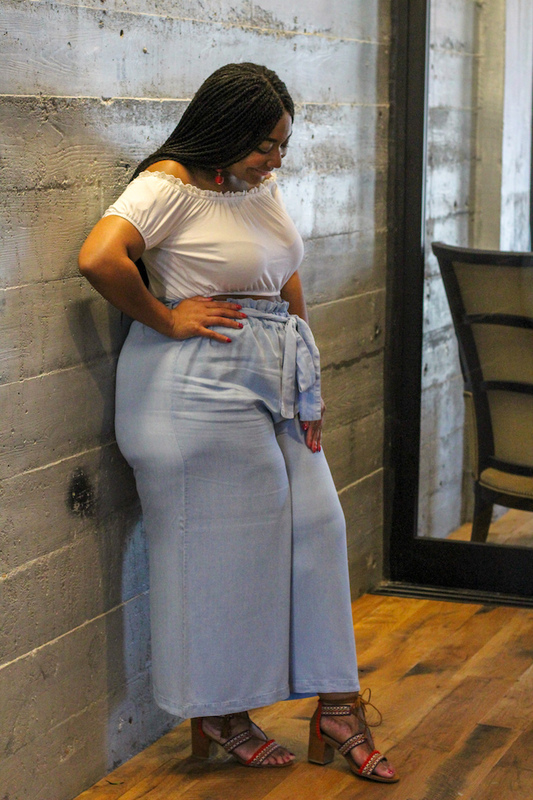 I am honsetly a little shocked at how much I am into denim culottes. Mainly because in high school I played gauchos out to the max and vowed to never wear them again! I think culottes and gauchos are the same thing. Either way I am here for them. 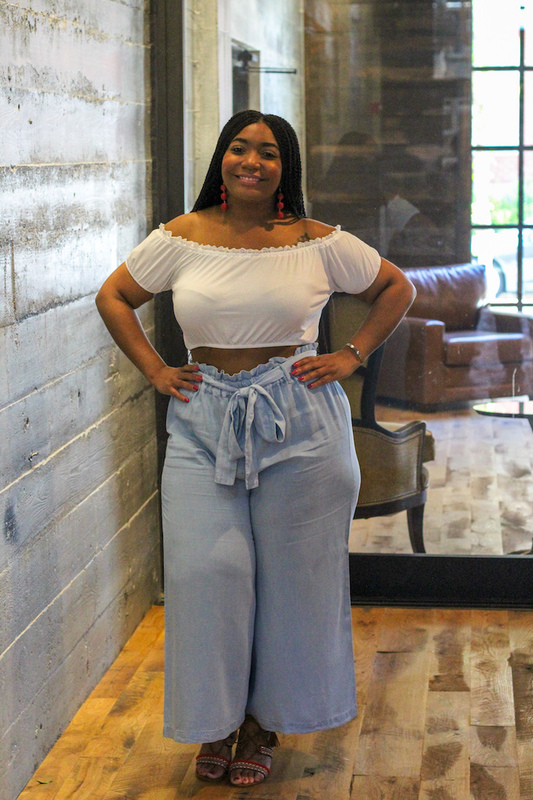 How do you feel about culottes? 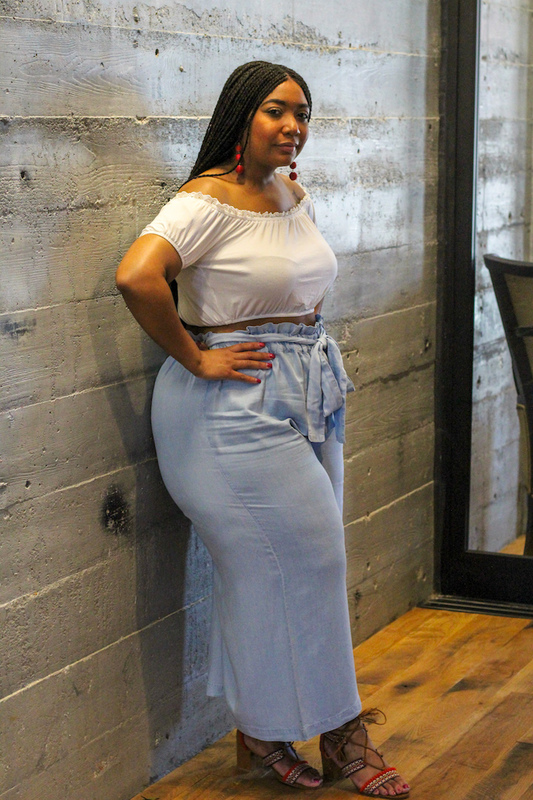 Style Notes: I am wearing an large in this crop top and it fits really well. 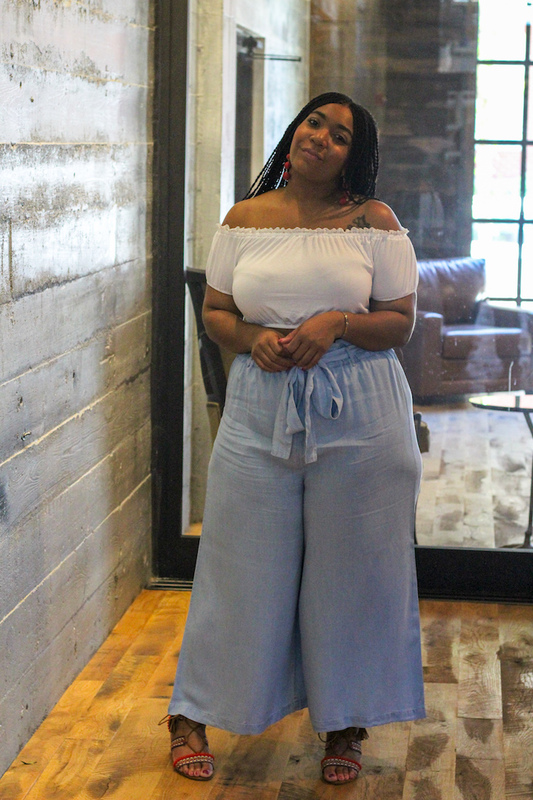 I am wearing a 3x in these denim culottes because they do not have any stretch in them and I wanted a relaxed fit. I am wearing a 10 in my sandals (similar) and they are comfy.